Looking for 5 star Hotels . Ireland has some extraordinary choice that range from international names to boutique one offs. 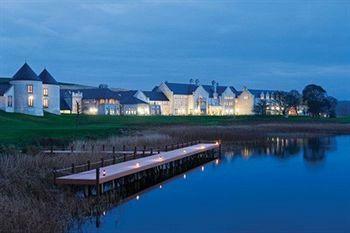 Some of these beautiful hotels in northern counties of Ireland are listed below. To check out hotel deals, Ireland hotels are listed and their availability at www.booking.com. 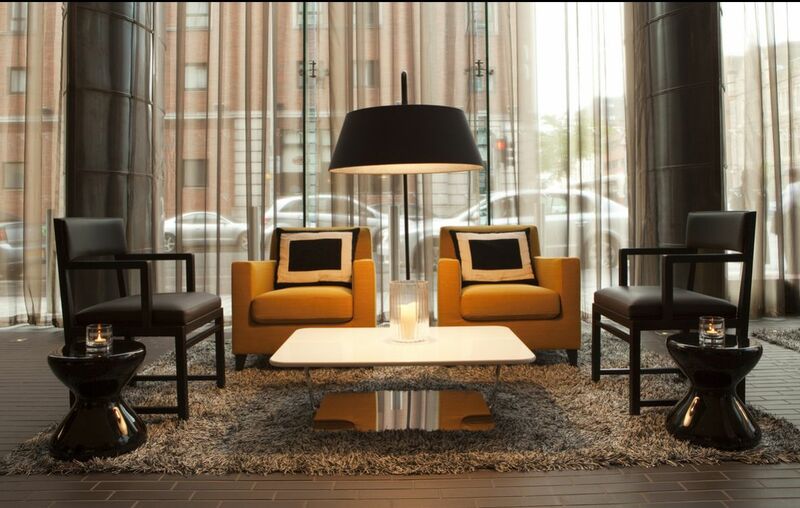 Want to find some cheap hotels? Ireland northern counties have the very popular Premier Inn where prices start as low as £35 sterling. Alongside these are the selection of a Bed and Breakfast in Ireland where you can avail of the homely hospitality in an Irish home. You can find these in any county and a list of our top selections for each county is included if you follow the link. Winner of the Best UK Hotel at the International Awards and more than a little special this is one which is among the list of 5 star hotels in Ireland. The Merchant Hotel, Belfast is in the historical district and located in the heart of the city within walking distance from St. Anne's Cathedral, and Belfast City Hall. Also nearby the Merchant Hotel, Belfast are the Waterfront Hall and Odyssey Arena and all the main shops. 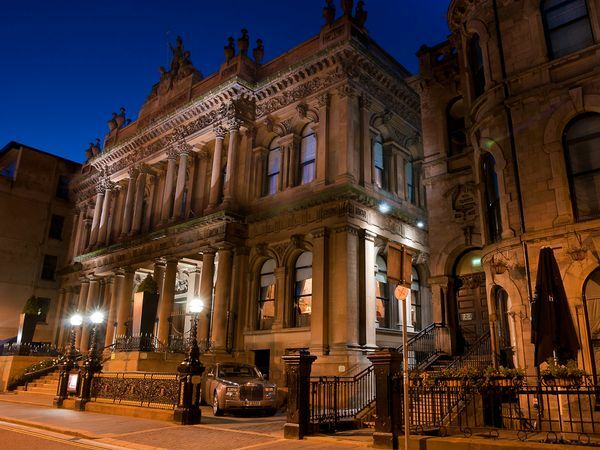 The luxury Fitzwilliam hotel is located in the heart of Belfast a mere walking distance from then Grand Opera House and all the best shops and restaurants. 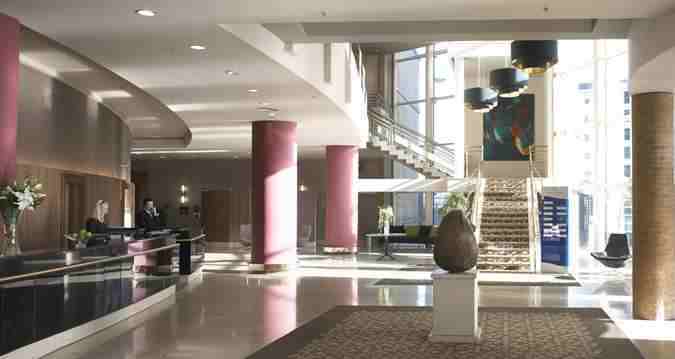 The Hilton Hotel, 4 Lanyon Place, Belfast BT1 3LP. Located next to Waterfront Hall and only a short walk from Odyssey Arena the Hilton Hotel, Belfast is the ideal accommodation for those attending a conference or a concert. Stroll through the city’s newly developed Titanic Quarter, just minutes from the Hilton Hotel, Belfast. 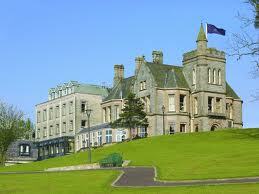 Culloden Estate and Spa, Bangor Road, Cultra Belfast BT18 OEX. Spa also offeres high end health and leisure facilities. The magnificent Slieve Donard Resort and Spa is nestled in the heart of County Down where the 'Mountains of Mourne sweep down to the sea’. 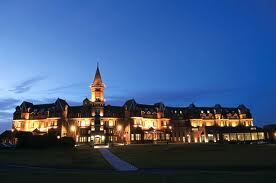 The Slieve Donard Resort and Spa has all the facilities you need to relax and unwind from today's hectic pace. Lough Eske Castle is another of the five star castle hotels in Northern Ireland hotels located on a secluded lakeside estate just outside Donegal Town. It is an historic building set in a storybook location delivering superior hospitality and comfort and is the ideal place for those who simply want to relax and unwind.